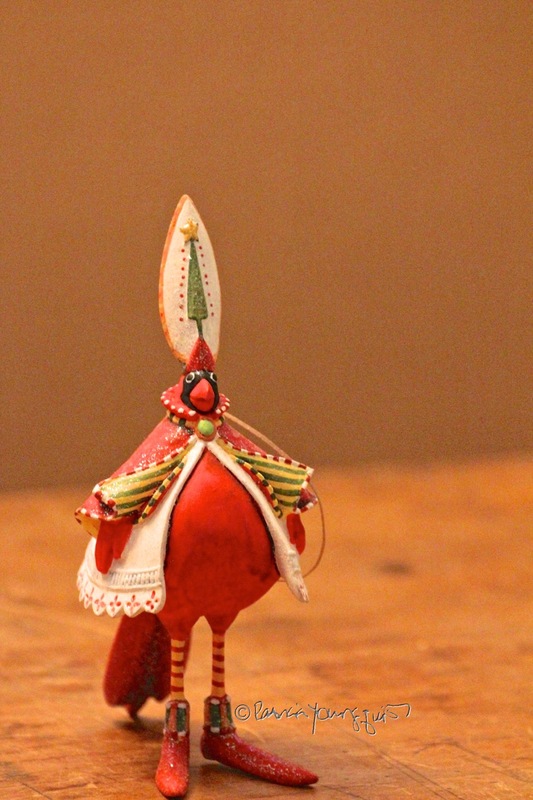 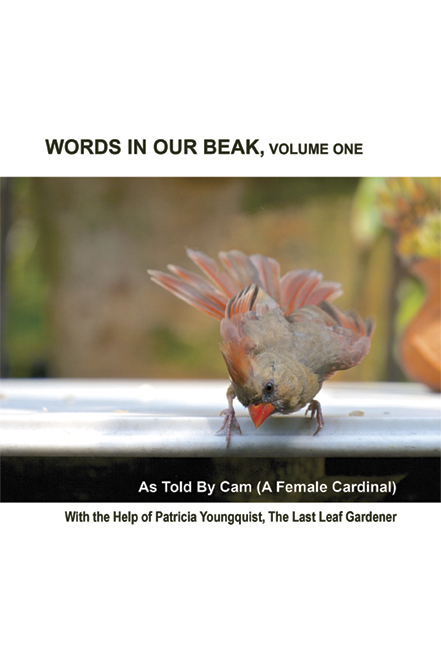 Be that as it may, the male cardinal is associated with Christmas and his likeness is rendered into an array of merchandize as I have described. 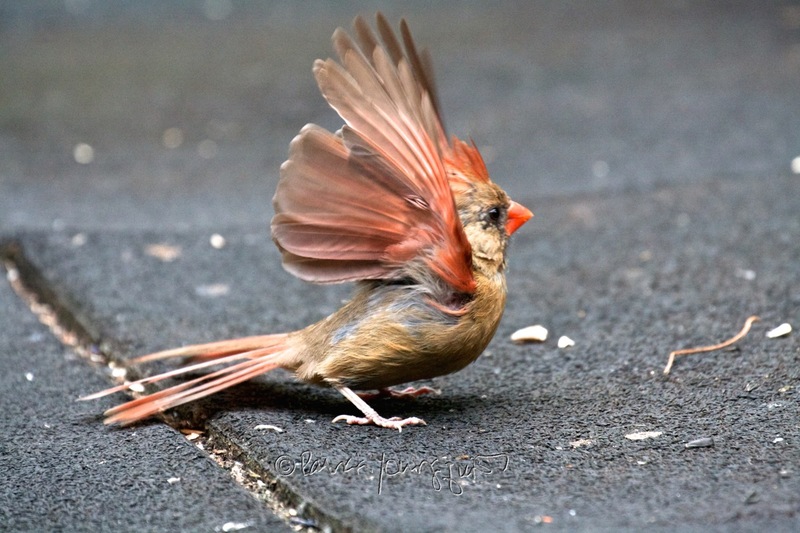 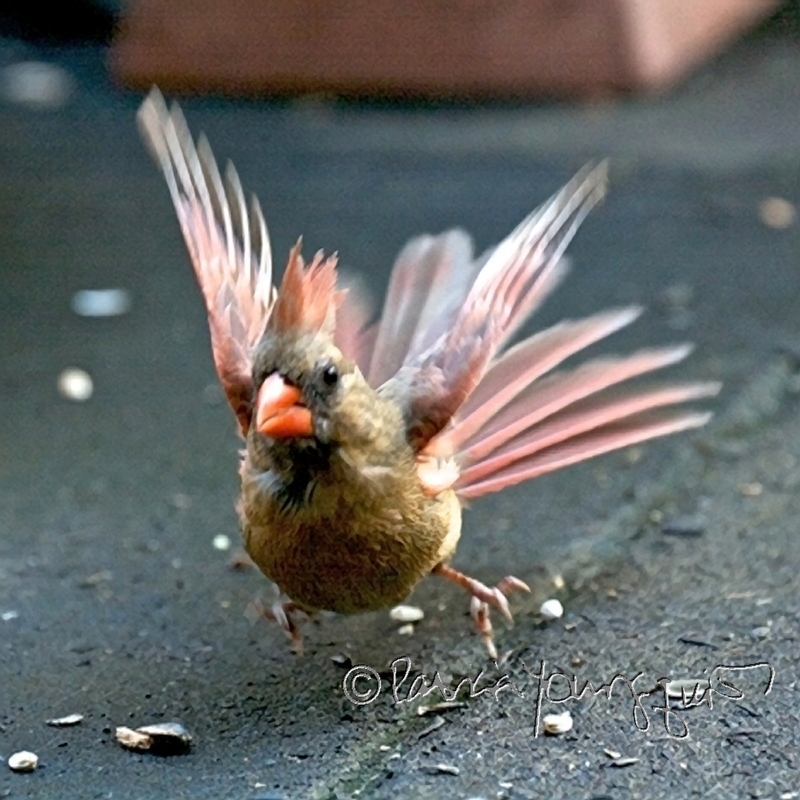 This fact is one of the things that ruffles the feathers (as evidenced in the images below) of Cam, the female cardinal who visits my urban garden in NYC. In her book, Words In Our Beak Volume One, Cam states: "I have been known to sing to raise awareness for certain causes; perhaps this is because as a female cardinal, folks often dismiss me due to my so-called 'dull coloring' and focus on the bright red males, even choosing their likeness to create figurines and stuffed animals. 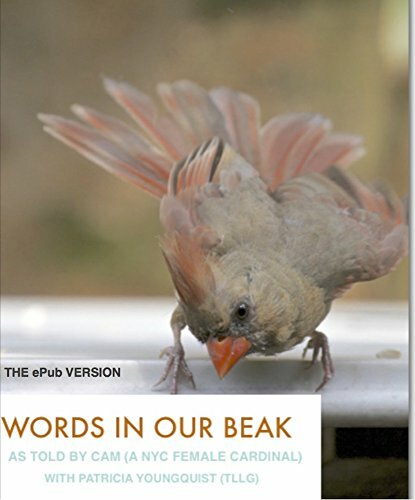 I've never seen either of these things rendered in the likeness of a female cardinal’s image, which I think is discriminatory!" Christmas and cardinals is a topic that Cam touches on ever so briefly in her narrative but her book still makes an excellent gift for the holiday. 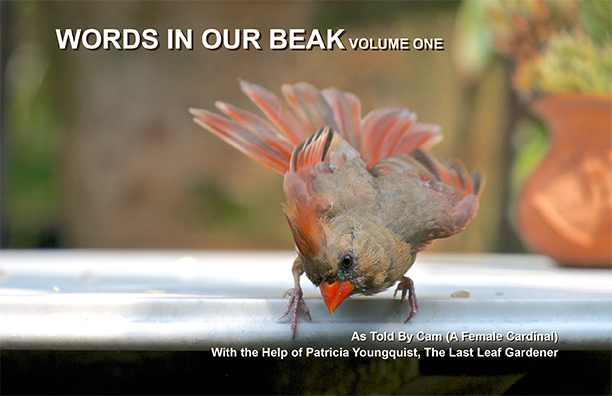 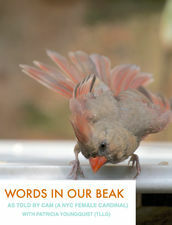 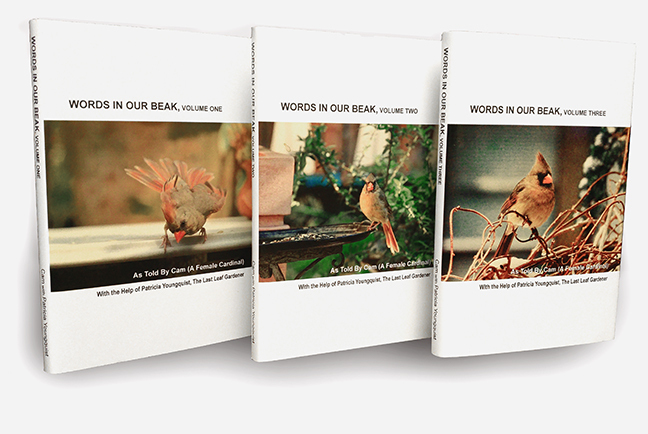 I've posted an image of each version of Words In Our Beak Volume One below. If you click on the link below anyone of them, you will be led to purchase info. Any version of her book so make a great gift for a non-holiday too, please read her press release (by clicking here) for more details.